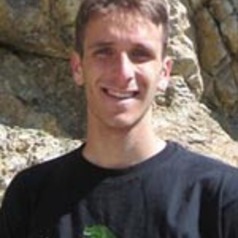 Edoardo is an honorary research associate at the Environmental Change Institute, University of Oxford and an advisor at the International Water Management Institute, Sri Lanka. Edoardo has worked for the World Bank, co-leading a report on water security in the Middle East and North Africa (Beyond Scarcity: Water Security in the Middle East and North Africa) as well as contributing to projects on river basin planning in Brazil (Sao Francisco river) and on national water planning in Peru and Pakistan. Edoardo’s prior experience also includes working as a senior editor for the Global Water Forum, and as a researcher at the International Institute for Applied System Analysis and Imaflora. Edoardo’s research focuses upon the engineering and policy dimensions of water management, in particular relating to climate change adaptation, water resources system analysis and service delivery in conflict-affected countries.